Yellow tea, also known as huángchá (黄茶; 黃茶) in Chinese, is a lightly fermented tea unique to China. A rare and expensive variety of tea, yellow tea has gained increasing popularity in recent years because of its delicious, silky taste. Compared to other types of teas, yellow tea has been much less studied. However, recent research into yellow tea suggests that it has many remarkable health benefits. 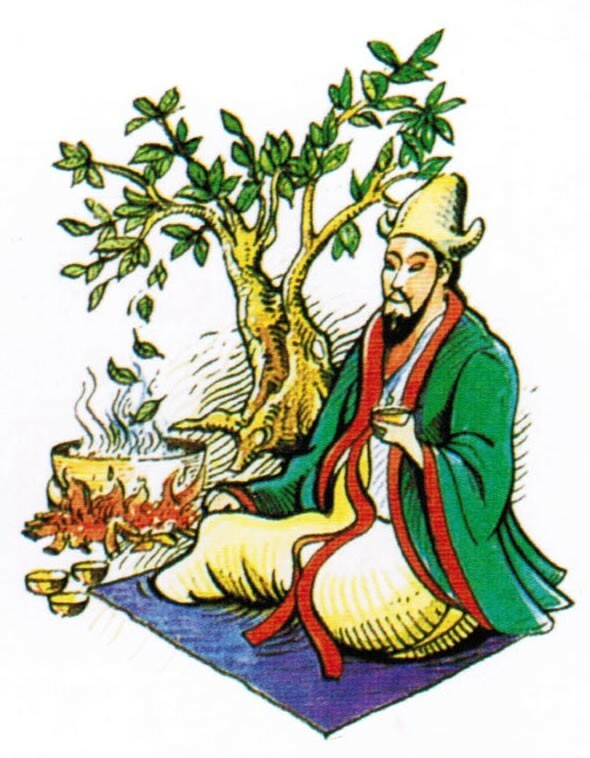 According to legend, Chinese emperor Shen Nung serendipitously discovered tea in 2737 B.C. after leaves from a nearby Camellia sinensis tree drifted into his boiling water. Today, over two-thirds of the world’s population drinks tea making it the most popular beverage. Thanks to increasing knowledge of its remarkable health benefits, the production and consumption of tea have increased dramatically in recent years. 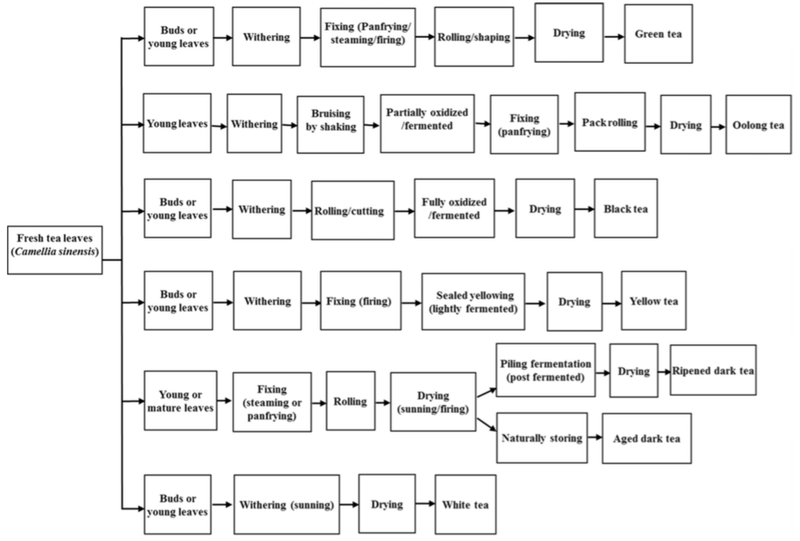 Tea is generally classified into six major categories depending on the degree of fermentation and processing techniques. Green green tea is non-fermented, yellow and white teas are lightly-fermented to 10–20%, Oolong tea is semi-fermented to 30–60%, black tea is well-fermented to 80–100%, and dark tea is fully-fermented to 100% and beyond. The fermentation and processing techniques affect the taste and chemical composition of a particular tea. 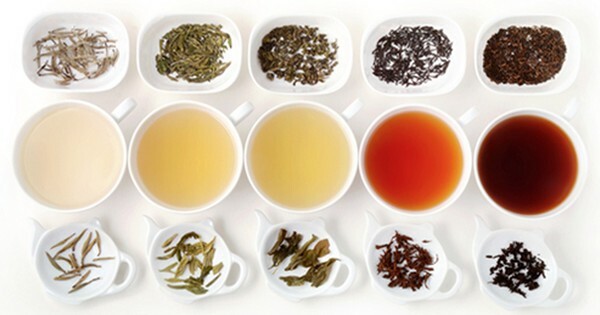 Different types of teas contain different bioactive compounds with different potential health benefits. 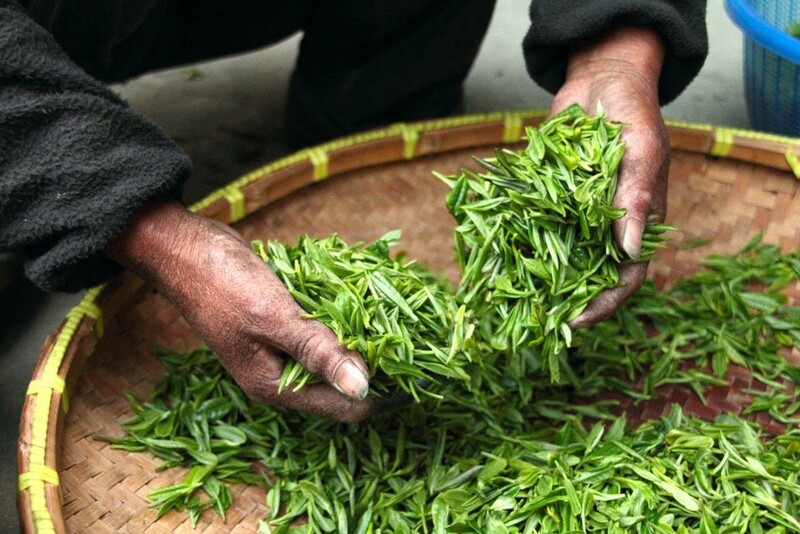 The high content of polyphenols in green tea is beneficial in scavenging free radicals and preventing cancer. Dark tea usually contains more polysaccharides than other types of teas, which can lower the risk of cardiovascular diseases. Black and Oolong teas have strong antioxidant activity. And the amino acids in white tea have been shown to improve brain health. Yellow tea is produced in a similar way to green tea in that they are both withered and fixed, but yellow tea requires an additional step. A unique procedure called “sealed yellowing” is a process by which the tea is encased and steamed. This additional step helps remove the characteristic grassy smell associated with green tea, and allows yellow tea to oxidize at a slower rate producing a lovely, mellow taste and defining color. 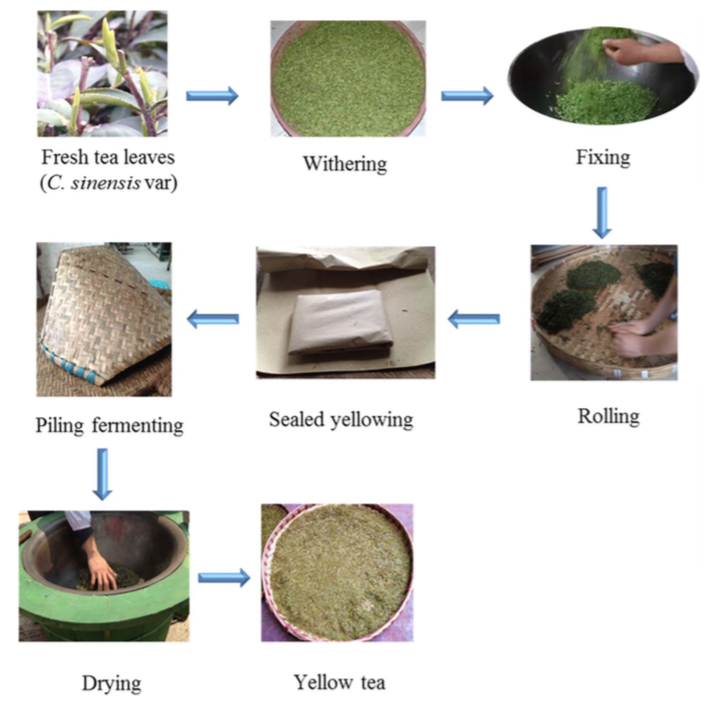 Because of the “sealed yellowing” procedure, the chemical components of yellow tea are qualitatively and quantitatively different than other tea varieties. Yellow tea has been found to be exceptionally high in caffeine, polyphenols, and theanine. Polyphenols are bioactive substances that act as antioxidants in the body. Theanine is an amino acid that helps reduce anxiety and high blood pressure, among other things. Yellow tea was also found to contain vitamins B1, B2, and C.
Studies have shown that yellow tea can improve lipid metabolism and protect the liver against chemical injury. 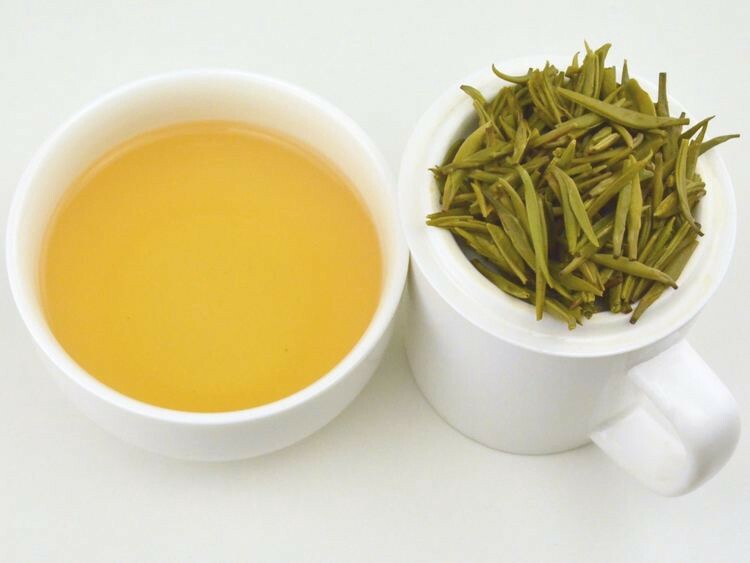 Yellow tea can also chelate heavy metals, inhibit colon cancer cells, and inhibit the growth of various intestinal microorganisms, like Escherichia coli, Staphylococcus aureus, Bacillus subtilis, and Bacillus cereus. As scientists gain more insights into the chemical constituents and related health benefits of yellow tea, consumer demand will continue to grow. Emperor Shen Nung will be smiling from the heavens as tea lovers throughout the world cuddle their steaming cups of huángchá and bask in its golden glory.